If the IRS has selected you for a tax audit, you should prepare for hiring an affordable tax lawyer. You should try your best to lessen the financial impact and avoid unnecessary audits. In a tax audit, there is always a big chance that you will owe money. The first thing you should do in an audit is to convince the IRS that the exemptions, deductions, and credits are legal and that you have reported all your income. You can ask to postpone your audit. Delaying it as much as possible can help you organize all your records. Don’t have the IRS come visit your house or business. Let your tax professional got to the IRS to have your income audited. 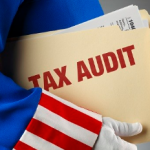 Make sure you consult your tax professional before you host any field audits by the IRS. Remember that you can reconstruct your records if ever you are missing any receipts or documents. Preparation is key to any tax audit. Keep in mind that you will always end up owing something after a tax audit. It is better to negotiate any tax concern than compromising tax amount. Keep conversations with the auditor short. Just answer exactly what is asked. Saying more information than needed may open up other unnecessary audits. Also, don’t bring any unnecessary document to an audit. Learn more about tax legal issues by researching in the free IRS publications and guides. Otherwise, you can consult a tax lawyer or a tax professional before you face any audits. Learn about the Taxpayers’ Bill of Rights so that you can prevent the auditor from overstepping his or her boundaries. The IRS usually completes an audit within a time span of three years after filing of tax return. If there is something in the results that you don’t agree with, you can make an appeal or go to tax court. To make sure your tax audit goes accordingly, it is best that you consult or hire a tax lawyer.